While it’s not known what the announcement is, Sasha Banks might have dropped a hint on Instagram. On her Instagram story, Sasha shared a photo of Velvet McIntyre & Princess Victoria, who are recognized as the first ever WWF Women’s Tag Team Champions. The title was introduced in the WWF in 1983. The WWF Women’s Tag Team Championship was quietly dropped in 1988. The last title holders were The Glamour Girls (Leilani Kai and Judy Martin). In an interview on the Sam Roberts podcast last September, Sasha said that WWE introducing Women’s tag team titles was inevitable. 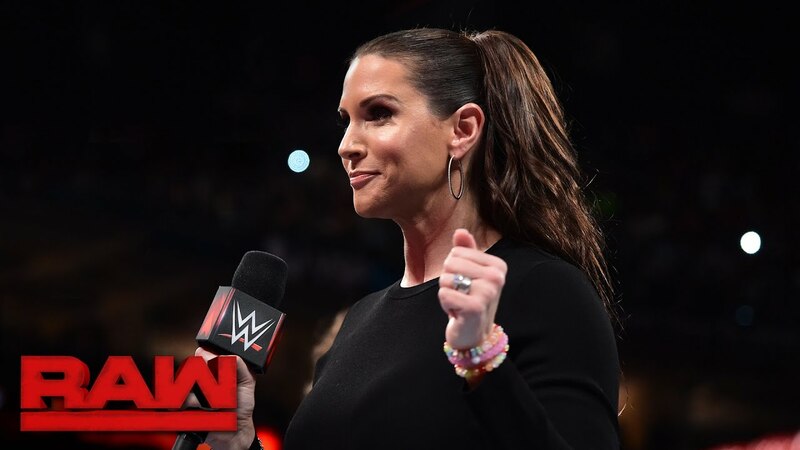 There is also speculation that Stephanie’s announcement could be about a an all-women’s event for main roster Superstars. WWE officials are seriously discussing an all-women’s event for main roster Superstars, according to Pro Wrestling Sheet. Word is that the event would take place in late September or October. These talks have been going on for a few weeks now, according to PWInsider. Early word is that the show might take place at the Nassau Coliseum on Long Island in September. It was speculated that the date could be September 30th as WWE currently has no events listed for that Sunday. WWE has a RAW episode booked for Seattle the next day, which create some logistical issues with running the Sunday show on Long Island.